Have Fun. Do Good. Help Others. This is the core philosophy that drives DealGooder. We believe that everyone has the ability to make the world a bit better each day. And if you can have fun while doing it, well, we think that’s a win-win and a message worth spreading. We created DealGooder to make it easy for people to support local charities by doing something they are already going to do – shop. Every time you purchase a deal on DealGooder, 50% of the profits go back to local charities to support things we all care about like animal shelters, education, and a clean environment. In a nutshell, you get a great deal on something fun to do in your city and as a bonus you get to feel like Mother Teresa knowing that HALF the profits from your purchase go directly to support local charities. We like to think we give folks the opportunity to donate their cake and eat it too. Others might say we’re trying to make the world a better place one deep tissue massage at a time. 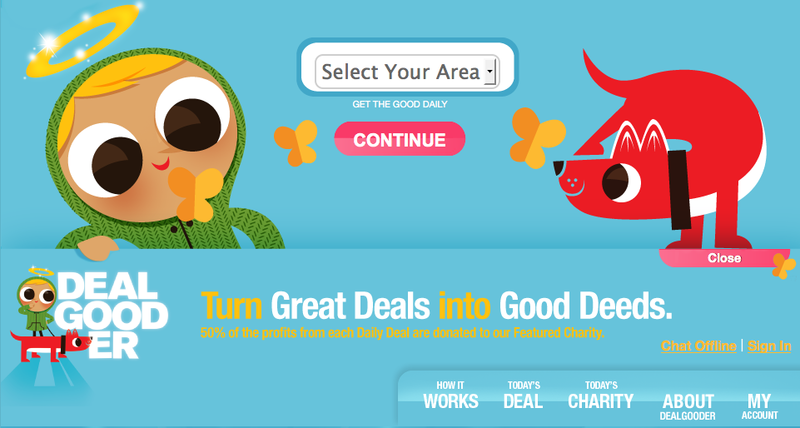 Either way, DealGooder creates a win-win-win for everyone – our community gets unbeatable deals, businesses get new customers and local charities get donations! But we can’t do this without good people. Meet our team of friendly do gooders that make the DealGooder engine run.